Something has to give when Duke visits Northwestern this weekend where both teams come into the game 1-0. In short, we are in for quite the battle for both teams covet a solid early season start. Duke won their opener by defeating Army 34-14 at home, while Northwestern is coming off a road win over conference rival Purdue. Both performances were impressive for varying reasons which points to what I expect will be a highly competitive game. The Blue Devils played their best game of the season a year ago against Northwestern where they came away with a 24 point win. 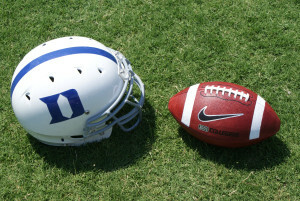 But the Wildcats rebounded to go 10-3 on the season earning national recognition, while Duke hit a tough stretch if losses before righting the ship for a bowl win over Northern Illinois. If you want to know how tough Northwestern will be let me offer up this one factual stat. The Wildcats have the longest win-streak at nine games than any other team in the country and they are favored to win this game for that reason. The Wildcats will also have the revenge factor going and they will look to start the game fast and play consistently. All these worries about veteran quarterback Clayton Thorson not playing are out the window. He played well against Purdue taking the vast majority of the snaps and will play even more this week. Even if they do play backup TJ Green some, he was 7-11 in passing where his team did not miss a beat. A question going into the season was what would their running back situation look like. Well, they are solid there if not better. Jeremy Larkin averaged 5.5 ypc and ran for 143 yards and two scores against Purdue. They also have speed with their backups. If that is not enough, the offense features solid wideouts as well. Flynn Nagel leads the way as a veteran and they have newcomers with speed. Like Duke, they spread the ball around a lot using tight ends as what they call super backs. The Northwestern defense is big up front and their linebackers come at you hard as well. They are more athletic than a year ago in their secondary despite two new starters. The Blue Devils did not show their hand last week against Army on offense in that they had limited snaps. But Daniel Jones was efficient which is a good sign and seemed more comfortable in the pocket. The Duke rush game was effective with Brittain Brown leading the way with 75 yards but he was hobbled towards games end. 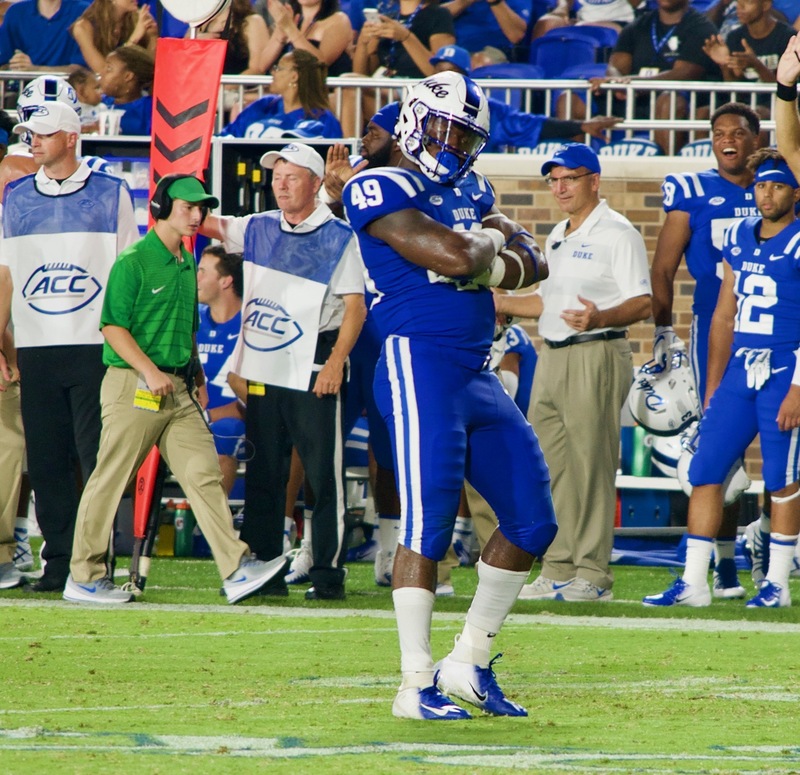 Duke was also aided by a breakout game by wideout Aaron Young who had catches for 114 yards and a touchdown. Duke allowed just one sack, but Army was close a few times and they will need to bring their A game against what will be a much better rush this week. The defense let up some passing yards but was solid against the rush considering they were playing Army which annually leads the nation in that area. However, there were times when the secondary let up some big plays, especially on late downs. That will have to improve this week for the team to stay in the game and seek a win. The kicking game was a pleasant surprise for Duke and it could come down to overall special team plays this week if the game is close. Duke had a good start to the season and will look to build momentum as the schedule toughens up. What will happen is a tough call. On paper, these are evenly matched teams but the home-field advantage for the Wildcats makes them the clear pre-game favorite. Northwestern knows how to win as evidenced by nine straight wins and they do not want the Blue Devils to break that record in what has become a bit of a rivalry. Both teams have some veterans and that points to a hard-fought contest. Duke can really gain momentum with a win going into another tough road game at Baylor next week. A victory for Duke would be a very sweet win. That said, I am not going to make one pick this week, but two. If the Blue Devils have two or more turnovers they will come away from the game with a loss. If they can match Northwestern for the full game and limit turnovers while creating some of their own, they will win. The bottom line is that this is a tough game for Duke in that they are playing a Northwestern team ranked 27th and 30th in the polls and rising. ESPN currently favors Northwestern to cover as a 3 point favorite by a 61.7% to 38.3% margin. It will take a near perfect game to win and resilience along the way. This game has huge implications for both programs and can be seen on ESPNU at 12 noon EST and 11:00 CST this Saturday.